It is not surprising that homeowners prefer to have more bathrooms in their homes. As a matter of fact, home experts are of the opinion that additional bathrooms effect spicing up the overall value of the home. Bathrooms are no longer used merely for the basic function of washing up our bodies. Actually, many people believe that the bathroom is a paradise that can help us forget about the crazy routine that embodies our life. Luxury hotels and spas inspire people to transform their simple bathrooms into relaxation spots by the addition of a few tweaks here and there such as state of the art shower panels. You certainly don’t have to stick to your plainly functional bathroom just because you lack the necessary know-how to transform the place into a luxurious spa-like palace. This article provides some basic ideas that will go a long way towards helping you change the appearance of your bathroom for a better experience. A beautiful and unique bath is the first step towards changing the whole appearance of your bathroom. There is a range of bathtub ideas that will help you have a spa-like experience in your bathroom. A freestanding tub is sometimes referred to a 'statement showering area' because it provides the closest thing to a spa style. Having extra space in your bathroom provides the ideal condition for installing a freestanding tub at the center so that it is easily noticeable when you enter the bathroom. The tubs come in a range of designs from the bold, elegant tub to the classical tubs that borrow from traditional tubs used in the medieval period. Nothing gives a more sensational spa-like appearance than the whirlpool tub. Whirlpool bathtubs shoot jets from all directions that will massage your body and reprieve you of all the tension that accumulates during the day. Furthermore, these luxury bathtubs have been used in wellness systems to provide a very compassionate bathroom experience that will tackle any odd psychological tendencies. 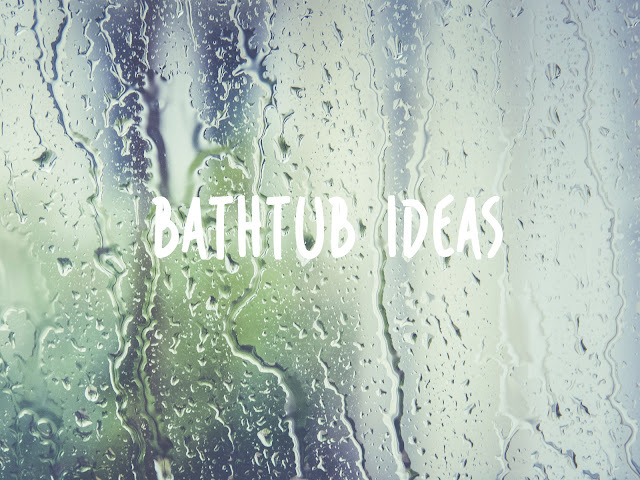 Moreover, some of these leading edge bathtubs are integrated with music systems that provide a soothing and ambient music that will help you while away into the night. The double basin design provides a sumptuous appearance to your bathroom. These type of bathtubs have a very unique architecture in their own right given that they provide separate basins. Separate basins mean that you can have your personal space to keep your own lotions. The addition of a stylish waterfall to the bathroom will change the look of the room to a more spa-like design. Changing the light tone of your bathroom to a more laid back and relaxing ambiance will provide a spa feel. 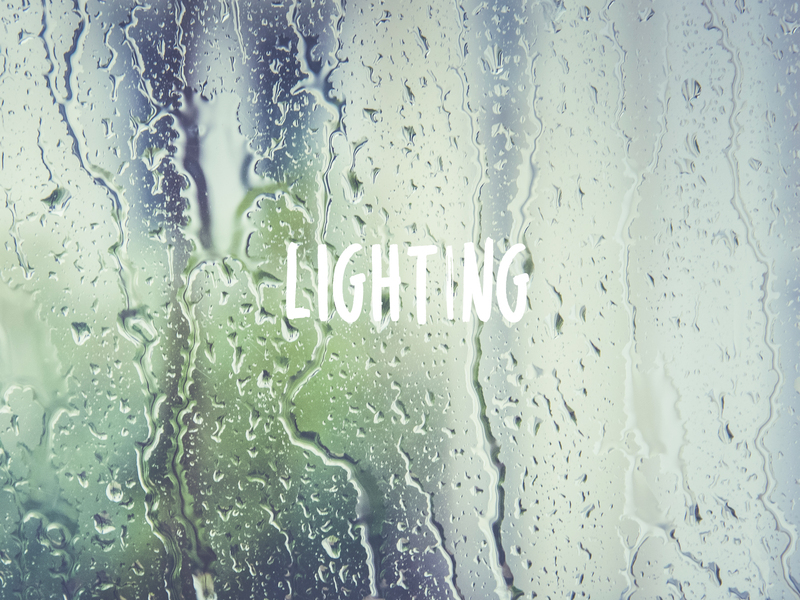 It is worth noting that you should avoid harsh lighting when it comes to creating an ideal spa. For example, you can settle for a serene illumination provided by contemporary LED ceiling lights such as the HIB Warm White. They are both energy efficient and will provide the perfect aura for your bathroom. Alternatively, you can perhaps go for the natural sunlight by enlarging your windows to allow more light in for a spa-like look. 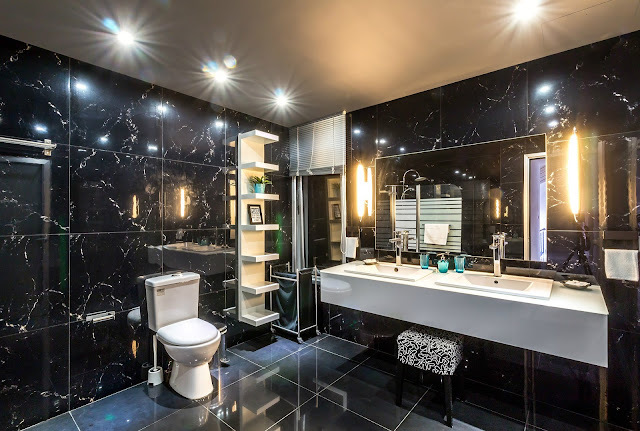 Modern LED lighting system can be complemented by the addition of high end LED mirrors that are particularly crucial in creating a soothing glow in the bathroom. You can as well spice up the whole lighting experience by installing a switch that can alter the lighting condition from bright to dim based on the mood or the occasion. For example, the bright lighting will work best in your daily routine while the dim lighting will suffice whenever you feel like relaxing. The implementation of the above touches will redefine the whole look of your bathroom space. Furthermore, you will boast having your own retreating area where you can get rid of all the stresses that accumulate during the day. 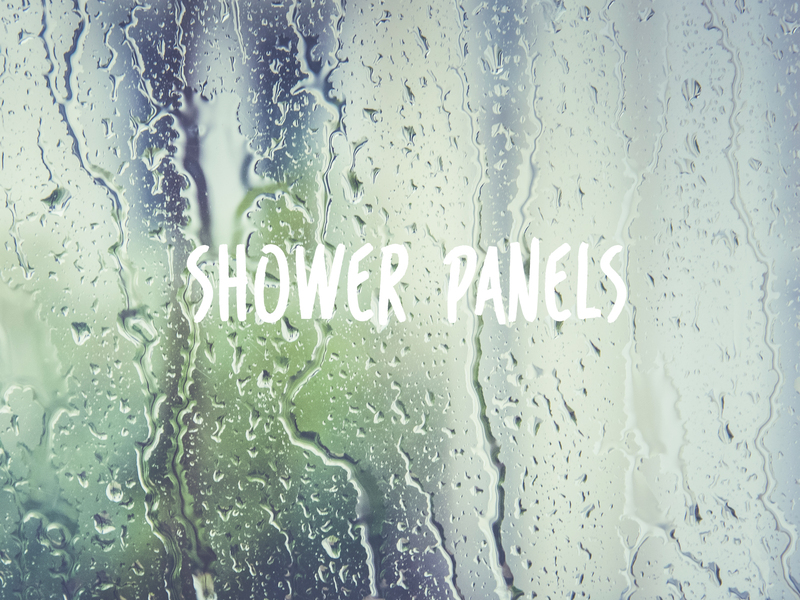 However, it is important to note that you can put up some additional shower panels that will help you have a more spa-like experience in your bathroom. Putting up a state of the art shower panel will not only give your bathroom a designer look but also make you enjoy every bit of you bathing time. Furthermore, shower panels are pretty easy to set up, and they come in three major designs: overhead shower, body shower jets, and hand shower. These shower panels provide an invigorating bathing experience given that they make you feel like you are in a beautiful waterfall. An overhead shower will definitely wash away all your stresses as the water drenches your whole body. The inspiration of a rain-like feel certainly comes from luxurious modern spas. Some shower towers have body jets that will indulge you further. The popularity of the overhead shower has grown tremendously in the recent past given that more people prefer to have a spa-like experience from the comfort of their home. Moreover, you can alter the position of the shower head whenever you feel like to add that extra comfort. If you are looking for more pleasure in your showering experience, then there is no better choice than the luxurious shower panel. You can read more about best shower panels here: https://walkinshowers.org/best-walk-in-shower-panels-review.html . Body shower jets go a notch higher in enhancing the showering experience. They provide additional handsets that provide you more control on the way the spray moves. As the name suggests, body shower jets have numerous water jets that take random trajectories based on the settings preinstalled by the user. This water jet technology is used in numerous massage spas to provide the ideal massage therapy that will get rid of any tension. Additionally, if you direct the water jets to specific parts of the body that experience mild pains, the jets will sooth the pain in no time. You will be glad to know that modern shower jets are integrated with thermostats that change the temperature of the water from time to time to help you maximize your entire shower experience. A hand shower is basically an additional feature that complements both the overhead shower and the body shower jets for extra luxury. Shower panels with hand showers are often installed with state of the art furniture which is essential for providing more storage space typical of a spa bathroom. LED lights are always set up together with hand showers to create a very unique and relaxing setting. Moreover, some hand showers are fitted with bars that have a gloss and modern finish. Finally, it is critical not to forget about pleasant toiletries as well as high-end towel features. While the installation of modern bathtubs and shower panels will create the ideal spa-like experience in your bathroom, the installation of quality towels is just as important. Toilets also must be fitted with sleek features that will complement the pleasant look of the bathroom. 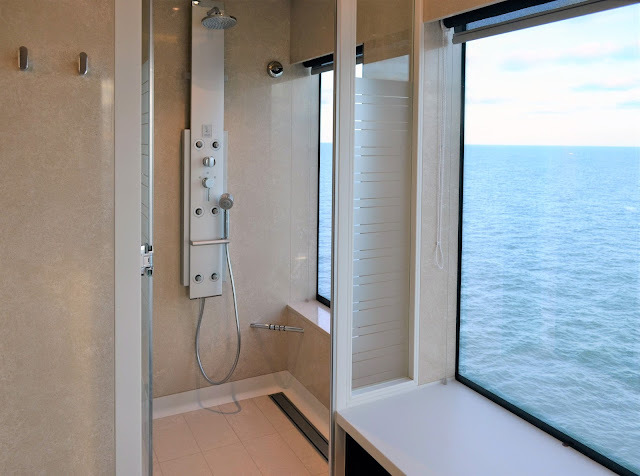 Moreover, wet room glass panels can be mounted on the floor, on the side of the bathroom as well as just above the overhead shower to add more life to the appearance of the place. Having a spa-like bathroom in your own home will give the house more value, especially when you plan to sell it. *This article is a guest post by Lori Longoria. This blogpost is so amazing! I love Spa's! And this is such a great idea.